(March 27th, New York, NY): This Summer, Maxwell will embark on a headlining arena tour kicking off at Nashville’s Bridgestone Arena on May 23rd. Ledisi will open for Maxwell with Leela James to also play on select dates. Common has been confirmed for Nashville and Greenville to kick off the tour. Maxwell has had a busy past 12 months. In July, he released his much-anticipated blackSUMMERS’night, the second installment of his musical trilogy encompassing his 20+ year career. The album garnered praise from Rolling Stone, SPIN, Complex, NPR and more, and the album earned him his third-Grammy (Best R&B Song for “Lake By The Ocean”), an NAACP Image Award (Outstanding Male Artist), and a Soul Train Award (Best R&B/Soul Male Artist). 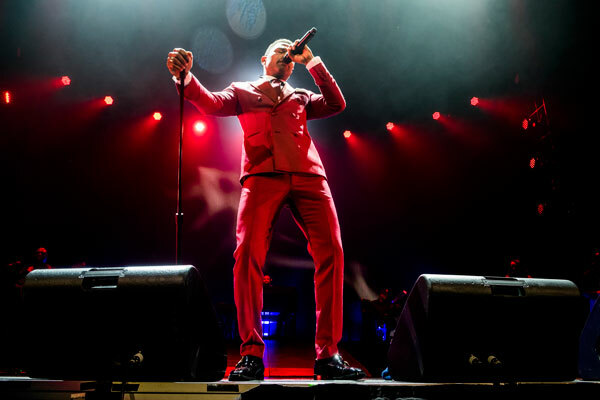 In November, Maxwell embarked on the co-headlining The King and Queen of Hearts World Tour with Mary J. Blige, which took him to arenas around the world. Maxwell kicked off 2017 by performing at the Women’s March on Washington D.C. in January, and this summer he will be performing songs off blackSUMMERS’night along with hits from his long-standing career. TIDAL member ticket pre-sale goes live March 28th at 10AM local time & public on-sales begin starting April 1st at 10am local times. Additional shows to be announced in the coming weeks.